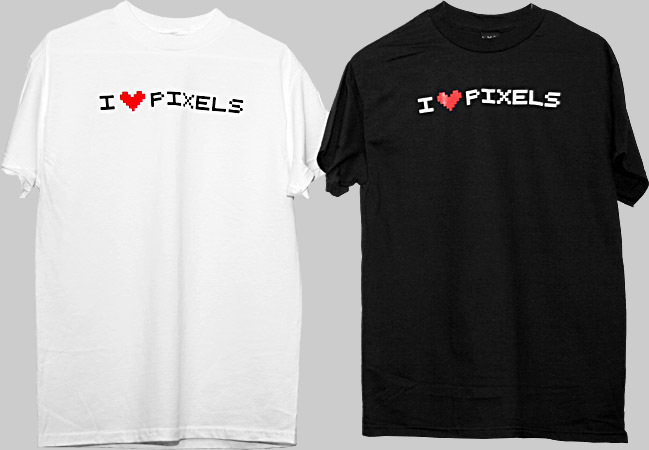 I LOVE PIXELS graphic silkscreen printed on 100% cotton t-shirts. 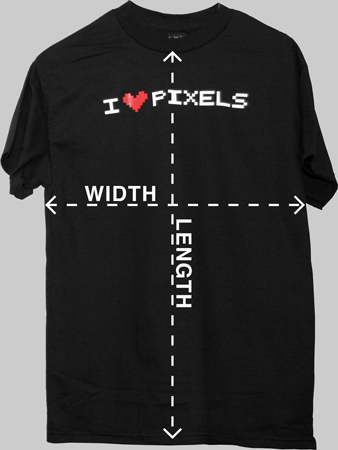 Available in white and black, men's sizes Small to X-Large, as well as girl's jersey tee. In stock and ready to ship today.